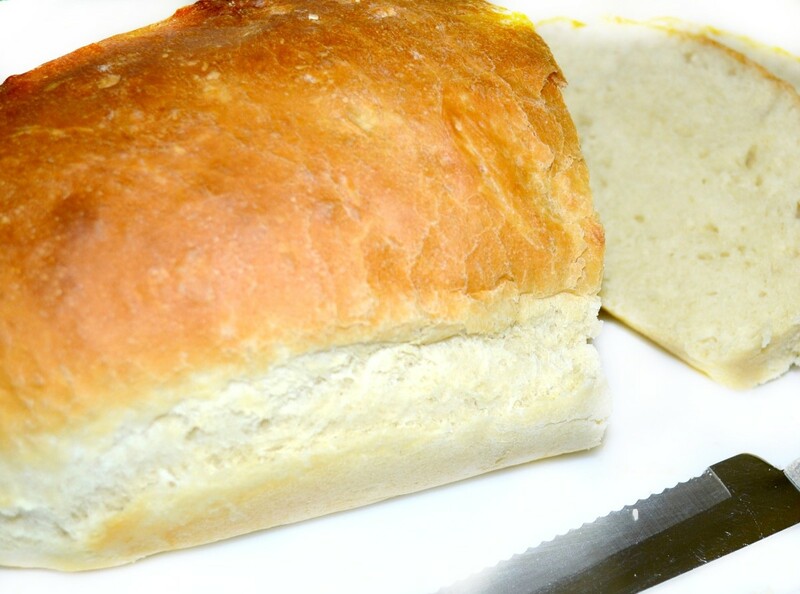 Homemade bread tastes heavenly and is easy to make. 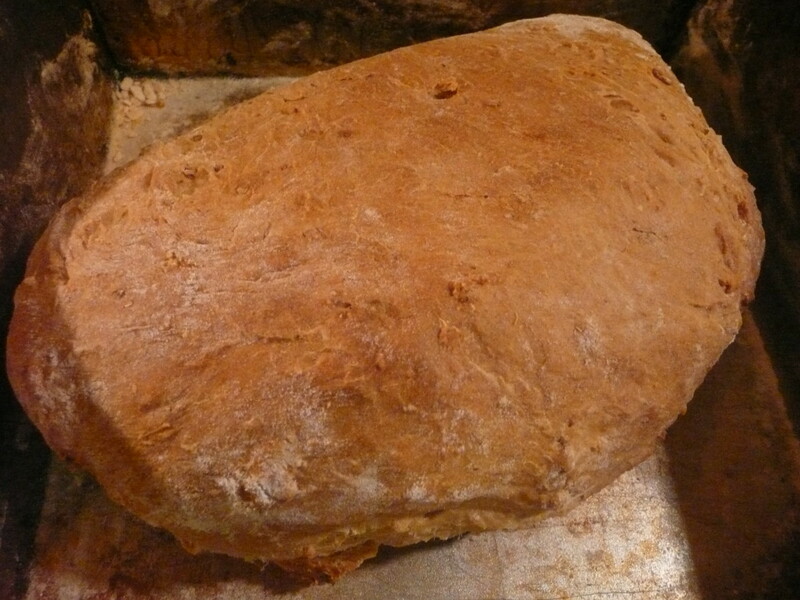 Many people believe that baking bread is difficult and frequently goes wrong, that it is time consuming and hard work. Nowadays people even buy machines to do it for them. How many of you have a bread machine languishing a cupboard? Our house is the same. So before I give you a recipe, let’s explode a few myths. 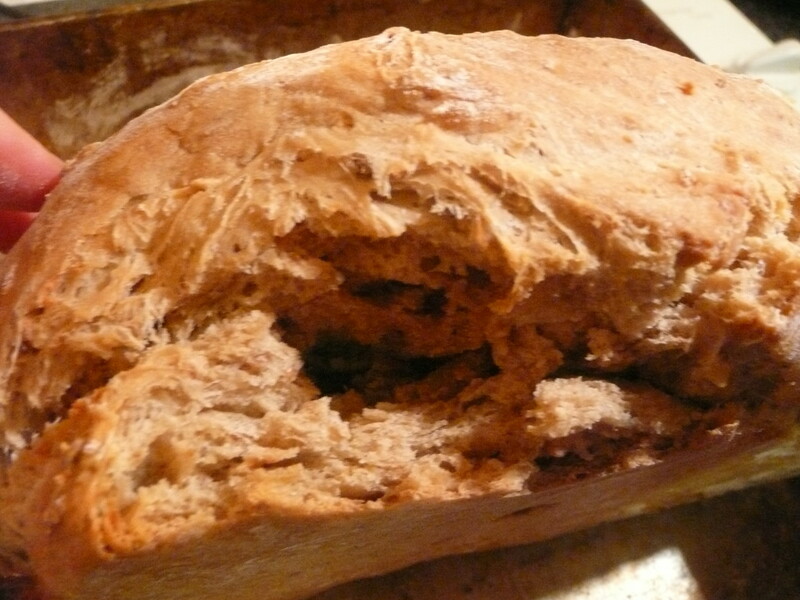 Myth One: Bread making is difficult and frequently goes wrong. As a kid, I had a book in which two cats baked bread that kept on rising when it went into the oven. It burst the oven door, flowed through the kitchen and out into the garden. I can tell you with all honesty that has never happened to me – but then I’ve never let my cats bake bread. I’ve made brown bread, French bread (with unbleached white flour), and I’ve made rolls and bagels. And I’ve thrown none of it away. My husband and his bread machine have made – um – bread, because bread machines aren’t actually all that versatile, and you certainly couldn’t fit a French loaf into one. We’ve thrown probably about a third of the machine-made bread away because it hasn’t risen properly. I have no idea if this is representative of the population as a whole, and I imagine the bakers in Tesco and Wal-Mart probably don’t knead their dough by hand, but in our family at least baking by hand wins hands down. Myth Two: Bread making is time consuming and hard work. While it is true that bread needs about 10 - 15 minutes of kneading, most f the time involved in bread making it is sitting quietly in a corner, leaving you time to read a book! With modern fast acting yeast you only need to leave it to rise once. And kneading does not mean pummelling as most people imagine. Watch the video below to see how to do it. Myth Three: it takes years to master the techniques required bake really good bread. Picture this scene: a mother and two little children in a kitchen. All are kneading dough, and after it has risen they shape it into rings. The mother pops the rings into a pan of boiling water for a few minutes and afterwards the kids arrange the rings on a baking tray. Some are beautiful rounds, some oddly shaped, but they all go into the oven. When bagels are ready the kids eagerly eat the food they have made. This was my kids’ introduction to bread. 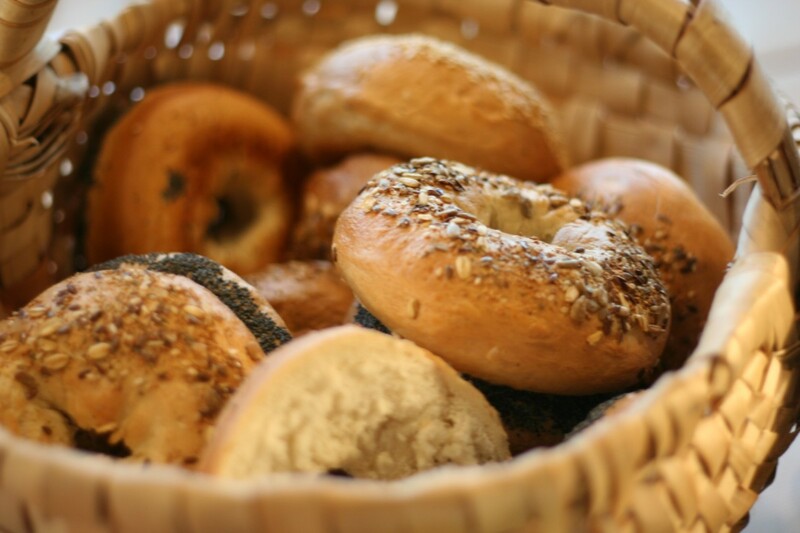 The bagels weren't perfect, but my girls remember that day with pleasure and they still enjoy baking. In particular they both find it soothing if they don’t feel well. My twelve year old gets the urge to bake muffins or cookies, but for her thirteen year-old sister it’s kneading dough that does the trick, and she made the bread in the photographs shown here. They had no idea that baking bread was supposed to be difficult or shrouded in mystique and so they developed confidence that they could bake, and that the results don’t need to be perfect. The easiest way to start baking bread is to use instant yeast. However, many of these yeasts contain sorbitan, a corn derivative to which some people are allergic. If you are allergic to corn or sorbitan, then buy regular yeast instead. Even with regular yeast it’s possible to get good results easily if you add some vitamin C to the yeast. But be careful because many brands of vitamin C contain sorbitan or maize starch! In the UK, Higher Nature sells effervescent vitamin C tablets with no artificial additives. After checking the ingredient lists of scores of vitamin C products available on Amazon.com I recommend you buy a pure ascorbic acid or vitamin C powder, as almost all others contain artificial ingredients or ingredients made from corn. To make bread with regular yeast and Vitamin C, add these to the warm water and allow to dissolve before adding the liquid to the flour. You will need 25 grams/1 oz of yeast and small pinch of vitamin C powder for this recipe. My kids discovered the key to successful bread making: have confidence that it will work out, and don’t worry if the results aren’t perfect. The worst that can happen is your bread might be a bit too firm, but as I’ll explain in the recipe you can tell if that’s likely to happen before you put the bread in the oven and you can take steps to remedy it. 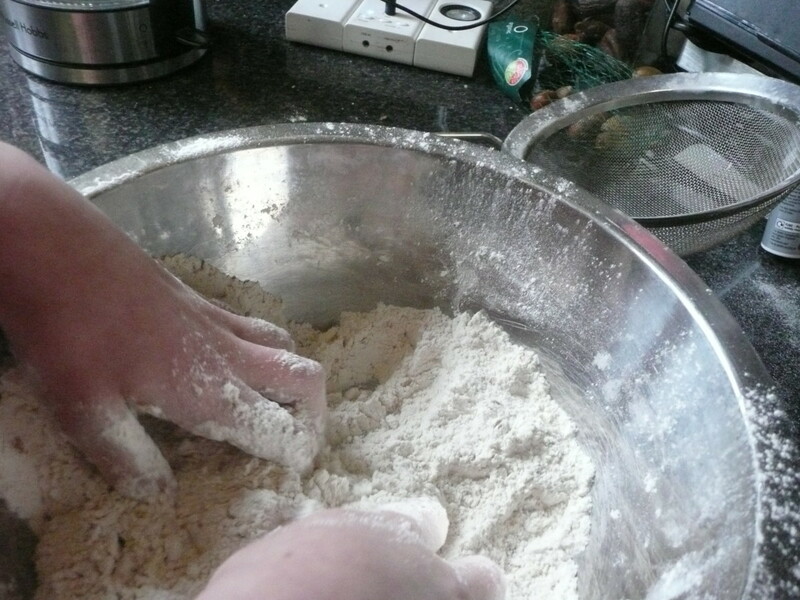 If a three-year-old can knead dough, so can you! So let’s bake bread. A note about flour and sugar. 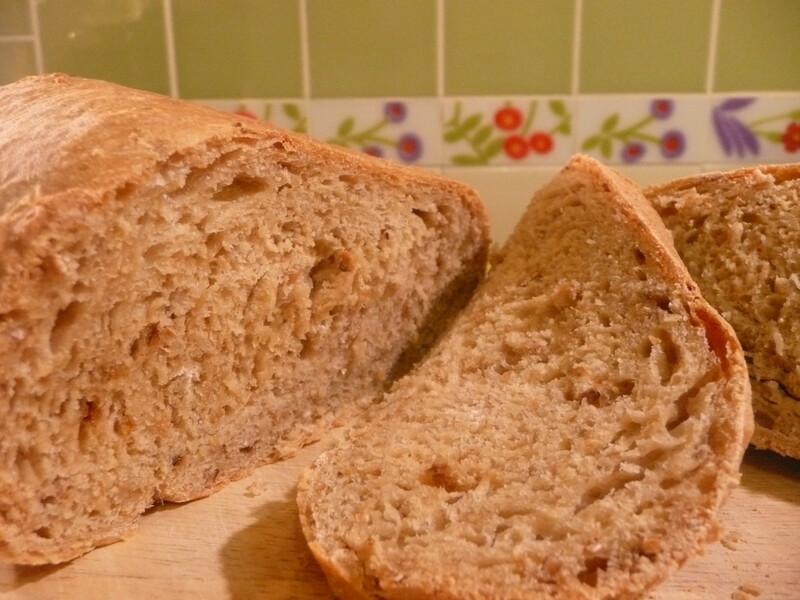 The bread in these photos was made with malted grain flour, which doesn’t seem to exist outside the UK. As a substitute I suggest half wholegrain flour and half unbleached white. As you get more used to bread making you can omit the sugar as Vitamin C will activate the yeast for you, but when starting out it’s probably best to use a little sugar. 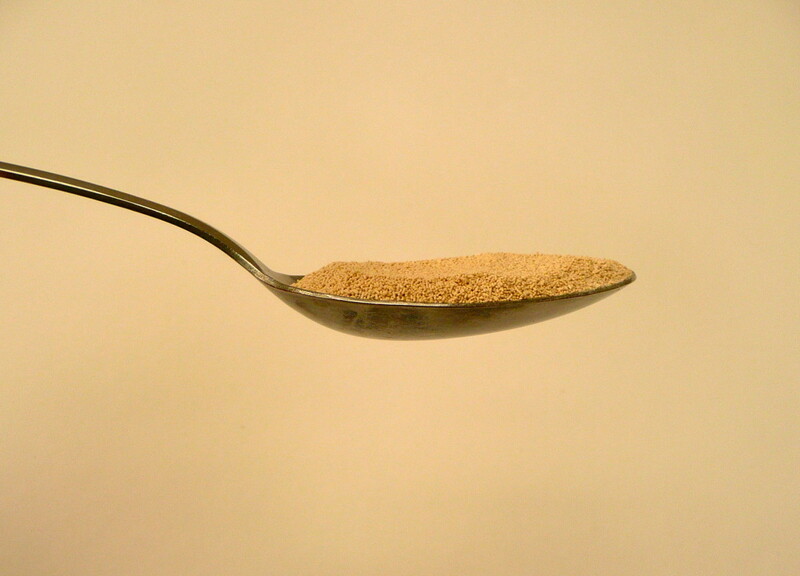 This is how 7 grams of dried yeast looks in a dessert spoon. 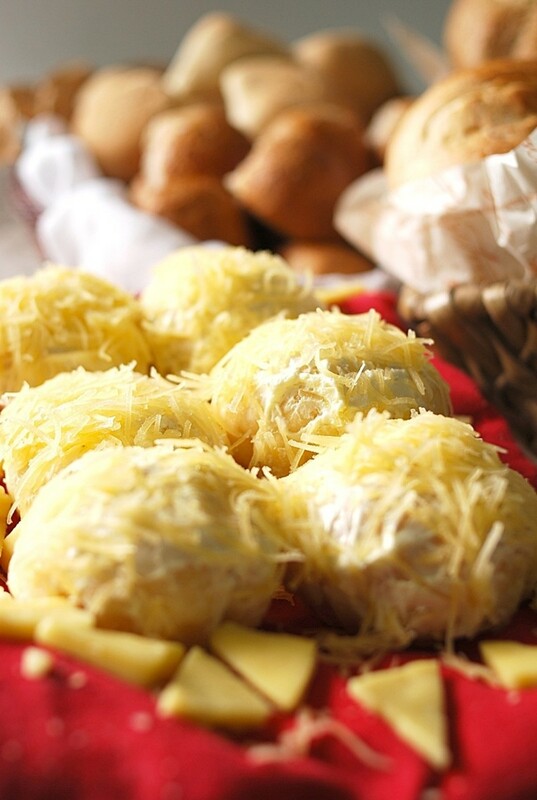 This recipe uses a sachet of yeast that contains 7 grams; this is equivalent to a dessertspoonful – see the photo on the right. As with everything in this recipe, don’t worry about getting it exact! If you would prefer to use fresh yeast or if you are allergic to corn, read the allergy alert information in the blue box above. A sachet of easy bake, quick or fast-action yeast. 400 ml/ 14 fluid oz of warm water – to get the right temperature use roughly one third of boiling water to two-thirds cold. Rub the butter into the flour, or if you prefer to use oil, just stir it in. 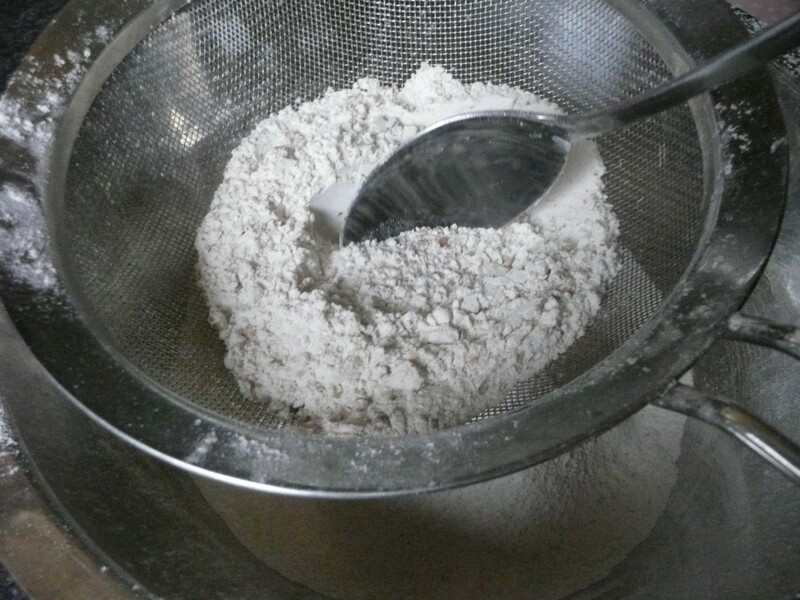 Prepare the warm water and add to the flour. Mix well to a soft dough. 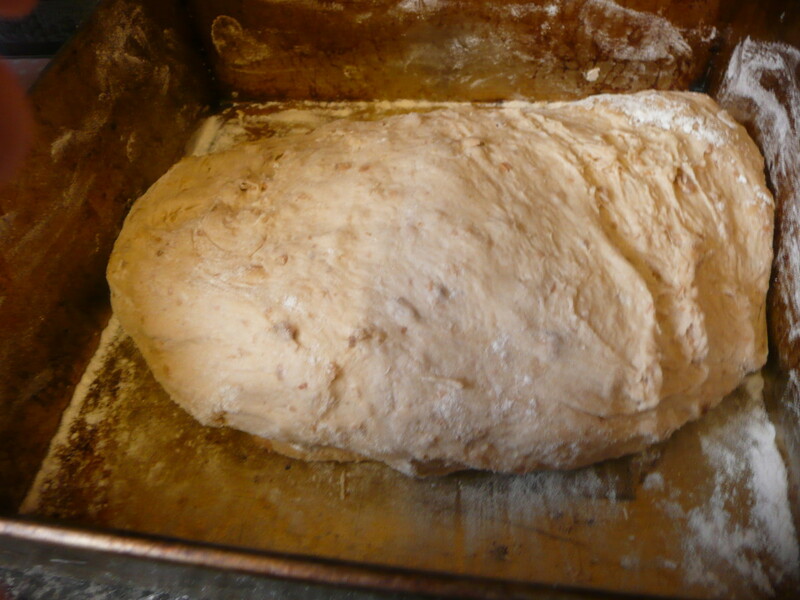 When your dough is stretchy, as in the photo below, it is ready to “prove” or rise. Someone couldn’t wait till the loaf was sliced! 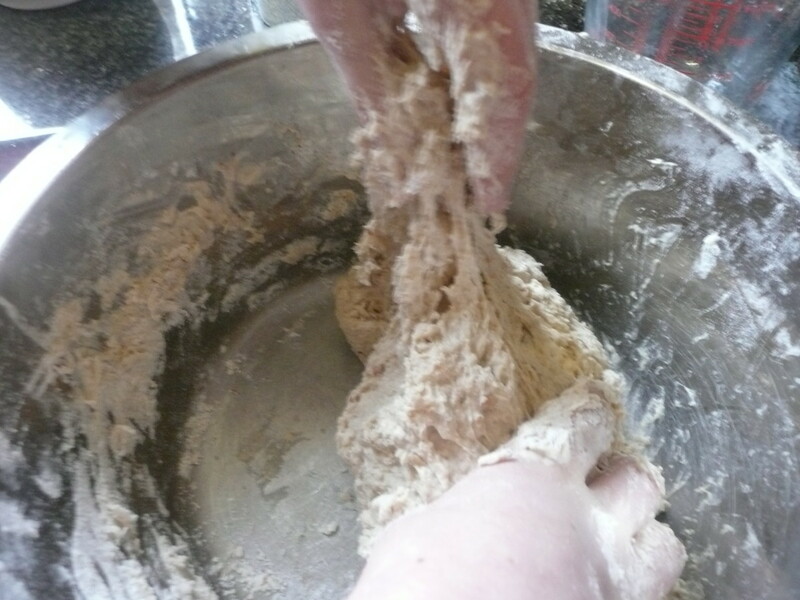 Shape the dough however you’d like – you can do it “freehand” as in these photos, or place it into a large loaf tin. Cover with a slightly dampened tea towel and leave it in a warm place for around 45 minutes. If you have one, an airing cupboard is an ideal place to prove bread, but any warm place will do, such as a warm windowsill or near a radiator, cooker or stove. If it has doubled in size, it’s ready. Don’t panic if it hasn’t risen as you’d hoped, it doesn’t mean you’ve got it wrong, just that it needs to prove a little longer. The time it takes to rise will depend on the surrounding temperature. 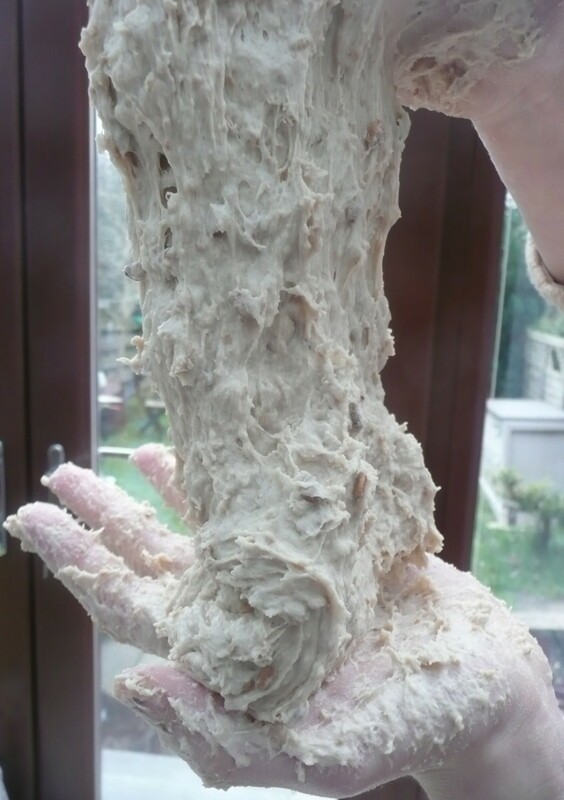 I’ve read a recipe that suggests it’s possible for dough to rise overnight in the fridge, but I can’t vouch for this. 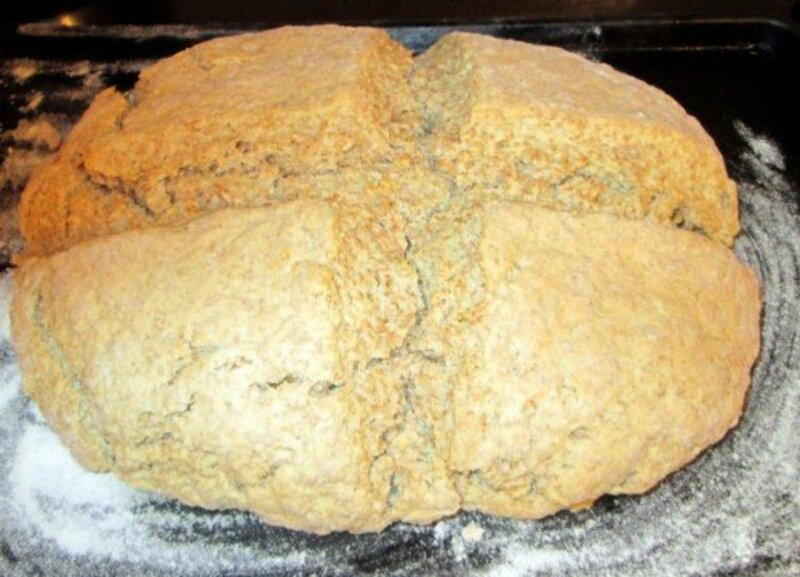 When your bread has risen nicely it’s time to bake it. Do this at 230°c/450°F/210° fan oven/Gas Mark 8 for 30 minutes until the bread is nicely browned as in the photograph. Try to wait for a few minutes before tearing into it, but if you can’t manage that, know that you’re not alone! Are you a bread maker? No, it always seemed to difficult. Yes, I love baking bread by hand. Yes, but I use a bread making machine. No, but I will now - by hand. It looks fun! Thanks for popping by and hope you have fun baking bread however you do it! Great pictures and instructions! I can almost smell that fresh bread baking! I used to love making bread by hand, and did if for many years. Now I've gotten lazy and use a bread machine. The results are pretty good,but not quite like bread made the old fashioned way. Yes the economy is similar to how it was when I began baking bread, so you make a good point. 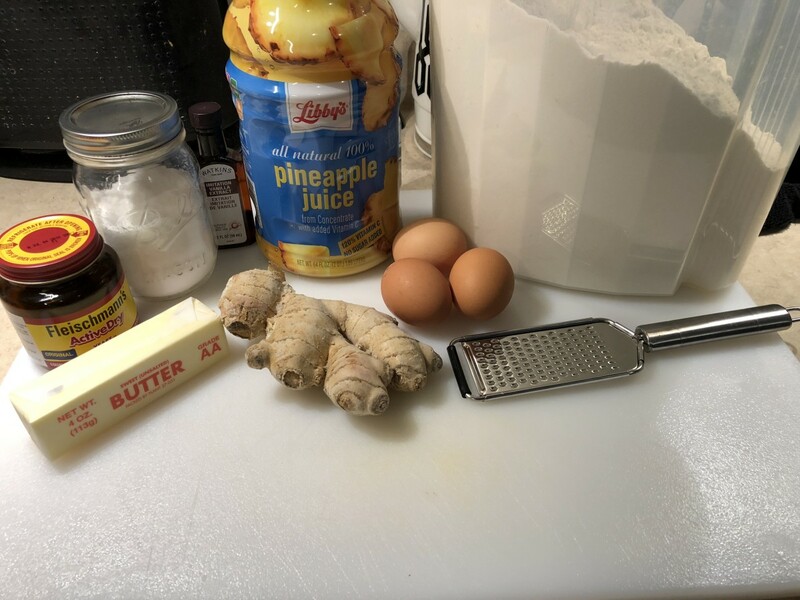 I hope you enjoy making the recipe. Great hub, voted up and shared. Hi Ruby H Rose, thanks for your comment. And you are right homemade bread is yummy. Katrinasul, as you can probably tell from the comments, many people don’t realise it’s easy. So now you know I hope you do bake bread and enjoy it! Tina, I’m sure confidence is the key. I’ve learned this from my kids who never suspected that baking bread might be difficult. As soon as we allow ourselves to make mistakes we relax and magically the bread bakes beautifully. Having said that, I’m glad you found the pictures useful and the video is too I think. I might get my kids to make their own one! Yes indeedy, we don’t want cats in the recipe. Glad you enjoyed that bit of silliness, and thanks for your comment and vote up. Yummy pictures. I miss home made bread, thanks for the reminder it isn't that hard to make considering how good it is, for sure. Hi North Wind, good to meet a fellow baker. Let me know how it goes if you make this bread, and thanks for your comment! Did you have long hippy hair back then? I agree with you that there’s nothing quite like the smell of freshly baked bread. 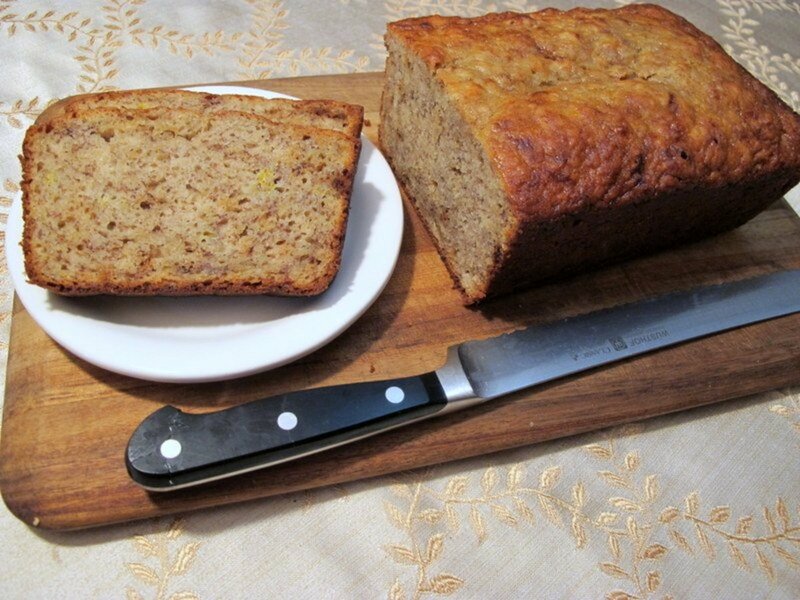 Hope you enjoy the recipe, and thanks for your comment and for sharing. Much appreciated. I didn't know that baking bread is as easy as you explained in this article. I would love to try this. Yummy, and thanks for the warning against cats. We don't want them being part of the recipe. Voting this Up and Useful. I love homemade bread and I make it often. I am always on the look out for different recipes and so I will try your own soon. Thanks! 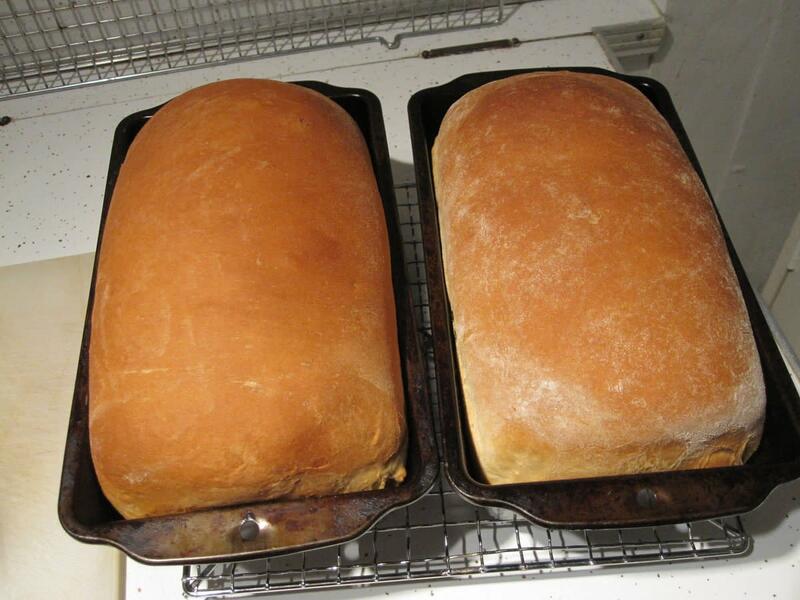 There is nothing like the smell of freshly baked bread. I was one of those hippies back in the day and we often made our own bread. I will try out your recipe too. I have tried fresh bread with olive oil, but not with garlic too, I will give it a go next time we bake. Thanks for the suggestion and for your comment. Glad you enjoyed the photos and video. And really baking bread is not that hard! It’s strange how it has acquired this status and it puts so many people off. Go on, give it a go! Thanks for your comment. I think most people with bread machines were given them. We were. Maybe it’s the people who buy their own who actually use them. And I think what you say about mood is a great point - it can have a big effect on how baking turns out. MMMM, I like what albertsj said: make your bread and eat it, too. Yum, yum. This looks great! Oh, and after you've baked it, have you ever tried tearing off a piece, drizzling some olive oil on it and some minced garlic? It is heavenly! This is a really nice tutorial with great photo and video instruction. Baking bread from scratch looks like hard work -- but very rewarding. Thank you! I was given a bread machine last summer and I've yet to use it yet. I make my own bread occasionally, but I have to really be in the mood to do so. Same as with shortbread, if I'm not in the mood to do it it comes out a disaster. I know what you mean as soon as that bread comes out of the oven all I want to do is have a taste of it. "make your bread, and eat it too.” I like that! Glad you enjoyed the hub and you’re right: there should be a ‘Yummy” button! Thanks for your comment. 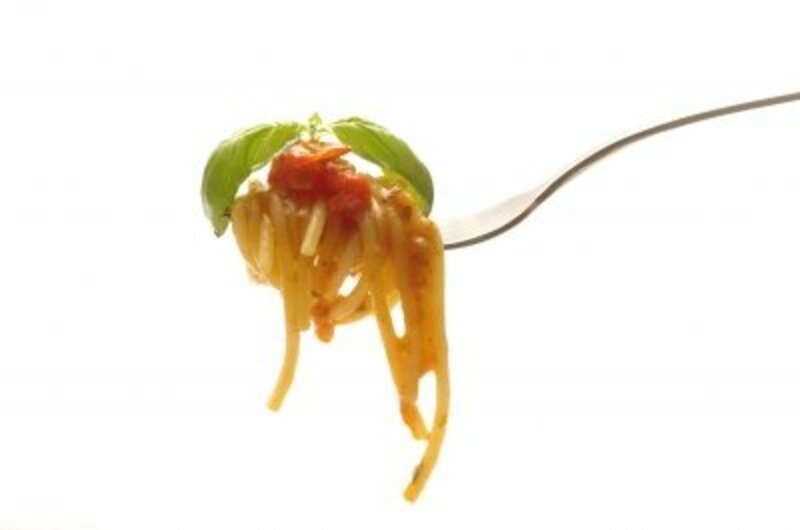 @ elle64, good to know I’m not the only one who eats more - thanks for your comment. @ jonmcclusk, I hope you do try to it and enjoy it. Thanks for your comment. This looks great and appetizing. I'm totally trying this one day. Great hub!